You need to secure a mezzanine or open ceiling space, secure a balcony or a staircase while preserving natural light, all for a small budget ? 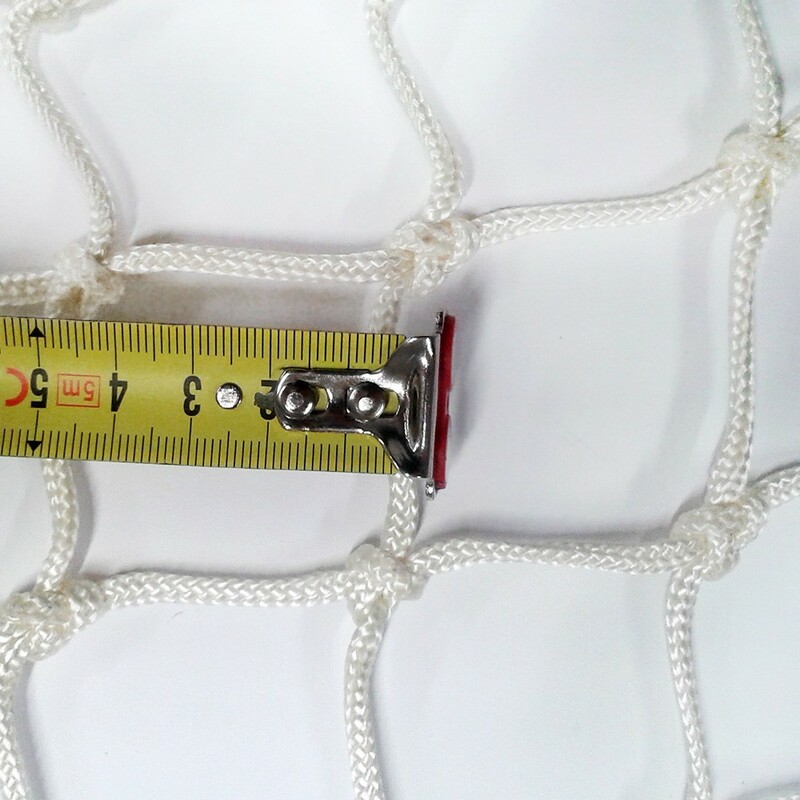 This 5 cm knotted netting will fill your expectations. This polyamide netting is more elastic than knotless netting, which is made from polyester or polypropylene. 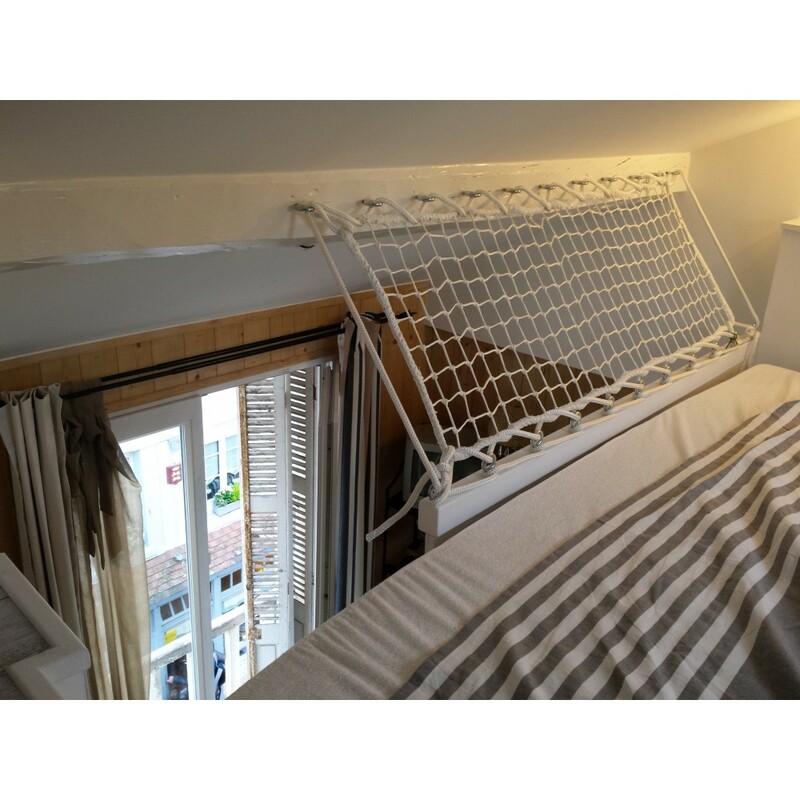 It is also not as soft, this is why we suggest using it for a vertical position rather than a horizontal one. - Knotted netting: Originally, this netting was used as nautical deck netting (fishing or multihull). Today it is found indoors, more often in a vertical position, as it isn't very comfortable to walk or lie on. - 50 mm square netting: this widely spaced pattern helps maintain maximum luminosity and is ideal for those wishing to conserve natural light, making it less noticeable. A great bonus if you wish to install an aesthetic railing that will fit perfectly in your home! - 100 kg/sqm resistance: A great safety asset! 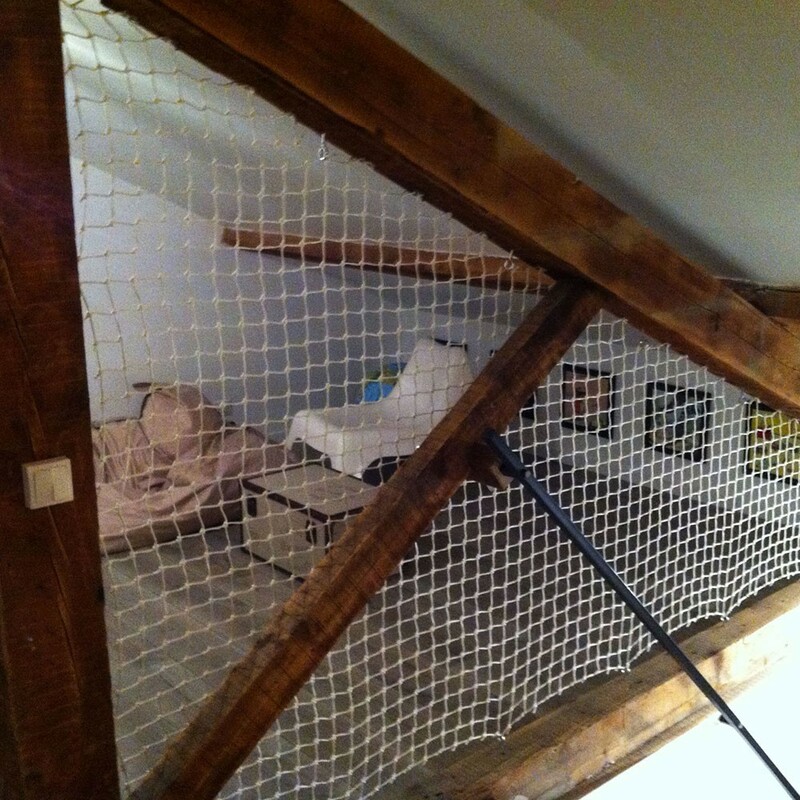 This netting will retain adults and children in the case of a fall. - Possibility of adding a 10 mm in diameter boltrope: Elegance and efficiency. Creating a nice finish to the net and reinforcing the edges of the net. It is also through the boltrope that the fixations will be attached. - UV-light and anti-mould treatment: Like all our netting, it has been treated against UV-light, conserving its worth even after a long exposure. Designed to be installed indoors and out, the netting displays an excellent resistance to moisture, even in marine conditions. 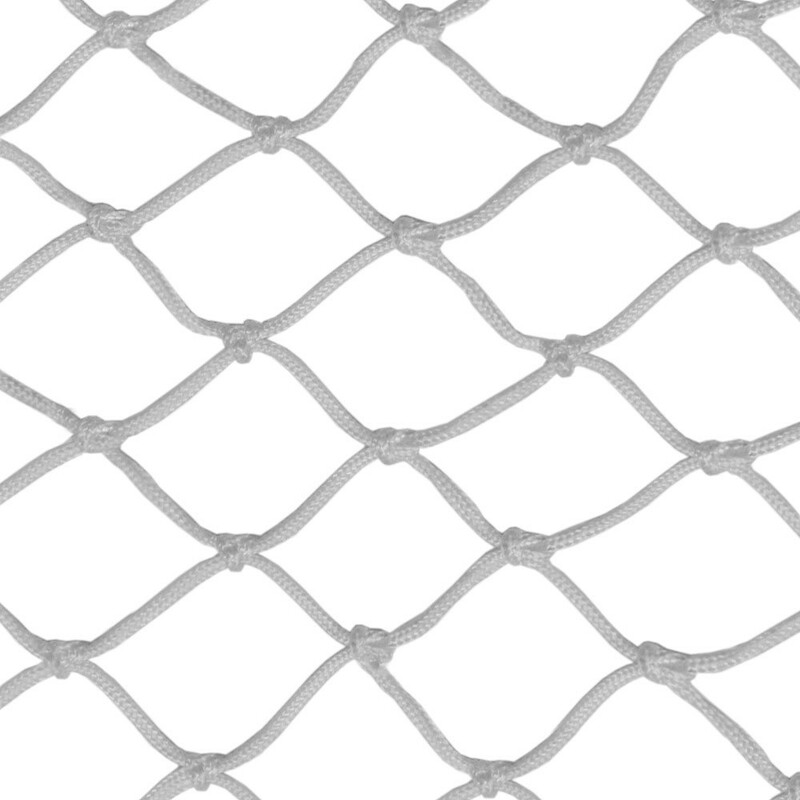 This netting is available in white. A manufacturing delay of 3 to 4 weeks is necessary between order and shipment.